Retracement alert! 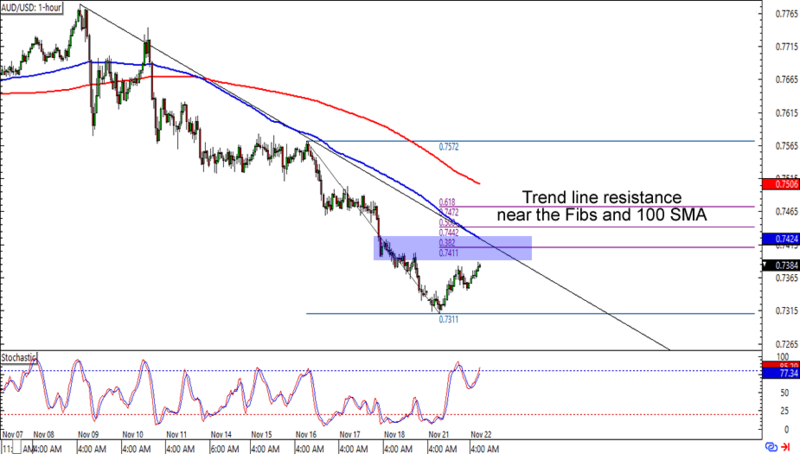 AUD/USD has bounced from the .7300 major psychological handle and is now heading fast for the .7425 mark. What makes the level more interesting is that it lines up with not only a falling trend line retest, but also a 38.2% Fib retracement and the 100 SMA on the 1-hour time frame. Shorting around the Fib levels is a good idea if you think that the Aussie’s downtrend still momentum on its side. Just make sure you practice good risk management when jumping on trends like this one, aight? Here’s another one for trend warriors out there! 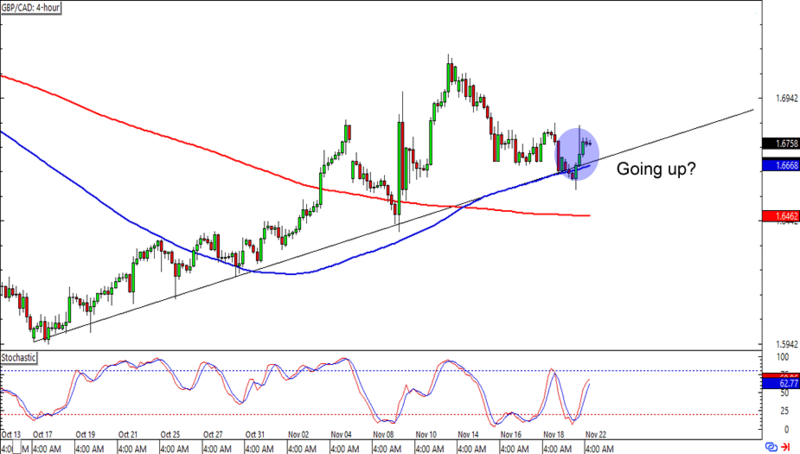 GBP/CAD has just bounced from the 1.6750 area, which lined up with a rising trend line and 100 SMA support on the 1-hour time frame. A long trade at current levels could get you a pretty good reward-to-risk ratio especially if you place your stops just below the support areas and aim for the previous highs. Don’t choke your stops too much though, as currency crosses like this one tend to be more volatile than the majors. Make sure you use wide enough stops! Last one up for this batch of charts is an easy peasy range play on NZD/USD. The .7000 major psychological handle proved to be as solid as Obama and Biden’s bromance, as it once again held as support for the Kiwi. Of course, it didn’t hurt that the 200 SMA and an oversold stochastic signal were also on the bulls’ side. 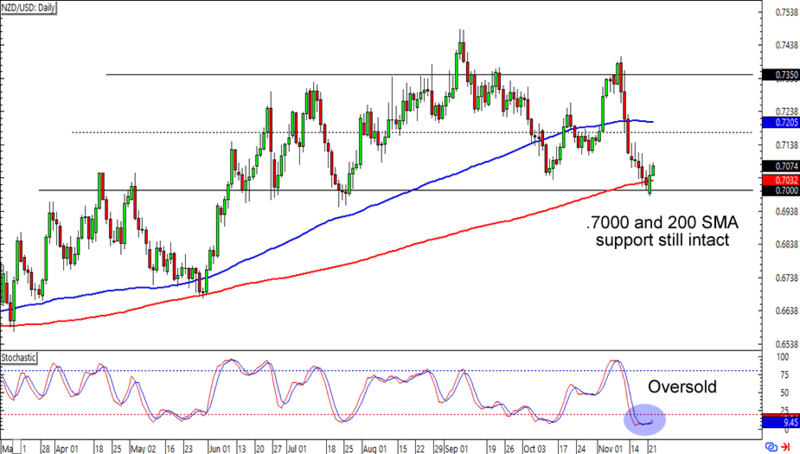 Think the Kiwi is headed for more gains against the Greenback? Read up on trading ranges like this one if you haven’t tried it yet!